Fate mapping indicates that pre–existing smooth muscle cells contribute to the excess aortic smooth muscle in elastin mutants. 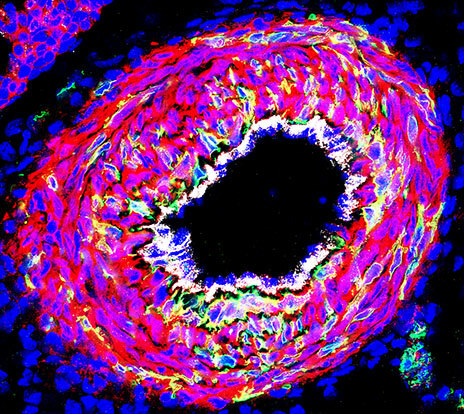 New research from Yale University investigates factors that squeeze, or narrow, the aorta in a common vascular disease, revealing a target for potential new treatments. The study was published online February 8 in the Journal of Experimental Medicine. Be the first to comment on "New Yale Study Pinpoints Key Protein in Severe Vascular Disease"